Runners in Portland — who are also Star Wars fans — can now take routes mapped to look like Stormtroopers or TIE Fighters. 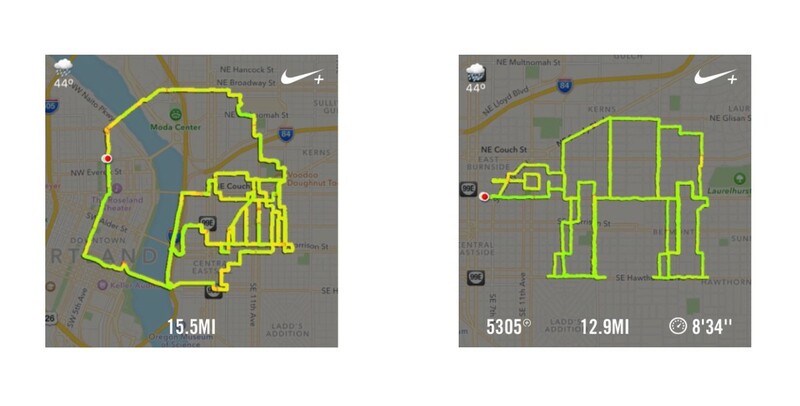 Gene Lu is plotting his courses via the Nike+ app, and so far has courses that look like Darth Vader, a Stormtrooper, an AT-AT and a TIE Fighter — which clearly means Lu is on the Dark Side. He also posts detailed images of the directions via Dropbox, and all his routes can be found via Instagram. The runs are not for the faint of heart. Lu’s TIE Fighter route is just under five miles long, while Lord Vader’s run is a full 16 miles. The Stormtrooper and AT-AT are 10 and 13 miles, respectively. If you’re in Portland, feel free to enjoy the current break in rain and go for a run. Runners in other cities — it’s time to get creative!